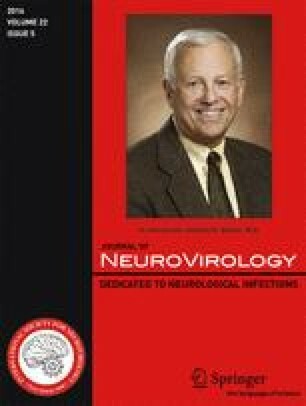 Previous neuroimaging studies suggest a negative relationship between the apolipoprotein (ApoE) ε4 allele and brain integrity in human immunodeficiency virus (HIV)-infected (HIV+) individuals, although the presence of this relationship across adulthood remains unclear. The purpose of this study is to clarify the discrepancies using a large, diverse group of HIV+ individuals and multiple imaging modalities sensitive to HIV. The association of ApoE ε4 with structural neuroimaging and magnetic resonance spectroscopy (MRS) was examined in 237 HIV+ individuals in the CNS HIV Anti-Retroviral Therapy Effects Research (CHARTER) study. Cortical and subcortical gray matter, abnormal and total white matter, ventricles, sulcal cerebrospinal fluid (CSF), and cerebellar gray matter, white matter, and CSF volumes, and MRS concentrations of myo-inositol, creatine, N-acetyl-aspartate, and choline in the frontal white matter (FWM), frontal gray matter (FGM), and basal ganglia were examined. Secondary analyses explored this relationship separately in individuals ≥50 years old (n = 173) and <50 years old (n = 63). No significant differences were observed between ApoE ε4+ (ApoE ε3/ε4 and ApoE ε4/ε4) individuals (n = 69) and ApoE ε4− (ApoE ε2/ε3 and ApoE ε3/ε3) individuals (n = 167). When individuals were further divided by age, no significant genotype group differences were identified in individuals <50 or ≥50 years of age on any neuroimaging outcome. The ApoE ε4 allele did not affect brain integrity in this large, diverse sample of HIV+ individuals. The effects of ApoE ε4 may not be apparent until more advanced ages and may be more prominent when present along with other risk factors for neuronal damage. The CNS HIV Anti-Retroviral Therapy Effects Research (CHARTER; https://www.charterresource.ucsd.edu) is supported by awards N01 MH22005, HHSN271201000036C, and HHSN271201000030C from the National Institutes of Health (NIH). This work was also supported by P30 MH62512 and R01NR012657 (BMA), R01NR012907 (BMA), and R01NR014449 (BMA). The CNS HIV Anti-Retroviral Therapy Effects Research (CHARTER) group is affiliated with Johns Hopkins University; the Icahn School of Medicine at Mount Sinai; University of California, San Diego; University of Texas, Galveston; University of Washington, Seattle; and Washington University, St. Louis and is headquartered at the University of California, San Diego and includes the following: Director: Igor Grant, M.D. ; Co-Directors: Scott L. Letendre, M.D., Ronald J. Ellis, M.D., Ph.D., Thomas D. Marcotte, Ph.D.; Center Manager: Donald Franklin, Jr.; Neuromedical Component: Ronald J. Ellis, M.D., Ph.D. (P.I. ), J. Allen McCutchan, M.D. ; Laboratory and Virology Component: Scott Letendre, M.D. (Co-P.I. ), Davey M. Smith, M.D. (Co-P.I.). ; Neurobehavioral Component: Robert K. Heaton, Ph.D. (P.I. ), J. Hampton Atkinson, M.D., Matthew Dawson; Imaging Component: Christine Fennema-Notestine, Ph.D. (P.I. ), Michael J Taylor, Ph.D., Rebecca Theilmann, Ph.D.; Data Management Component: Anthony C. Gamst, Ph.D. (P.I. ), Clint Cushman; Statistics Component: Ian Abramson, Ph.D. (P.I. ), Florin Vaida, Ph.D., Reena Deutsch, Ph.D.; Johns Hopkins University Site: Ned Sacktor (P.I. ), Vincent Rogalski; Icahn School of Medicine at Mount Sinai Site: Susan Morgello, M.D. (Co-P.I.) and David Simpson, M.D. (Co-P.I. ), Letty Mintz, N.P. ; University of California, San Diego Site: J. Allen McCutchan, M.D. (P.I. ), Kaori Phillips, B.S.N. ; University of Washington, Seattle Site: Ann Collier, M.D. (Co-P.I.) and Christina Marra, M.D. (Co-P.I. ), Sher Storey, PA-C.; University of Texas, Galveston Site: Benjamin Gelman, M.D., Ph.D. (P.I. ), Eleanor Head, R.N., B.S.N. ; and Washington University, St. Louis Site: David Clifford, M.D. (P.I. ), Muhammad Al-Lozi, M.D., Mengesha Teshome, M.D. The views expressed in this article are those of the authors and do not reflect the official policy or position of the US Government. All procedures were approved by the Institutional Review Boards of each CHARTER site, and all participants provided written informed consent.